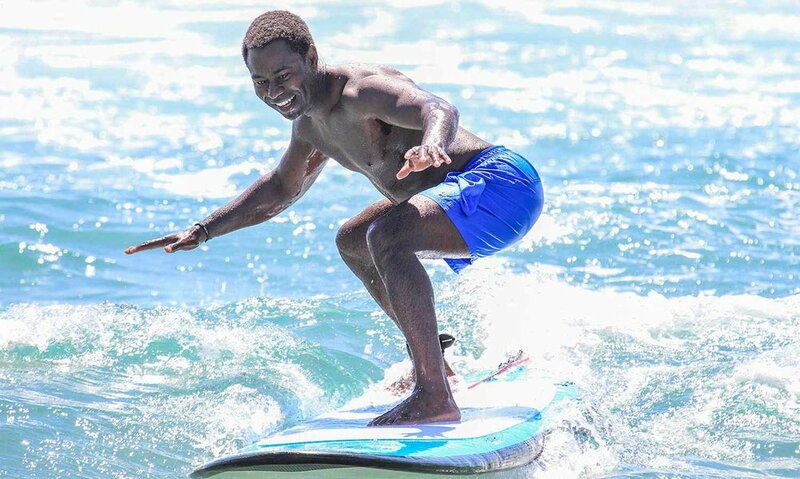 Experience the thrill of a lifetime and learn how to surf with us today! We teach private surf lessons every day, year round. Our team has experience coaching people of all ages and abilities. AQUA SURF School also conducts weekly summer surf camps for children and teens interested in learning how to surf. Additionally, our company specializes in facilitating corporate events and team building activities. Whether you’re a complete beginner learning the basics, or a seasoned surfer who wants to improve, our expert pro-surf instructors can help you learn, progress and excel. If it is your first time, this will be an adventure you will never forget! AQUA SURF School creates fun, safe and educational surfing programs on the beach for children and teens that inspire lifelong skills, incredible lasting memories and treasured friendships. Your kids and teens can expect fun filled days at the beach learning how to surf.